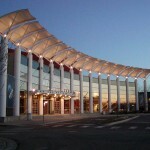 The unique, Award-Winning, State-of-the-Art performance venue designed by Boston based architect/developer Graham Gund opened in November 1996. In 1998 the North Shore Center was presented with the National Commercial Builder’s Award of Excellence Merit Award, Division IV. 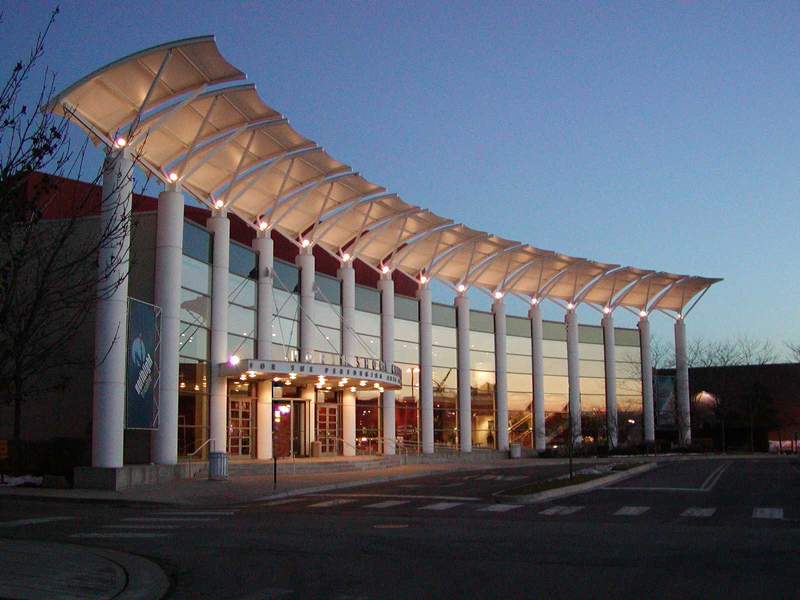 Capable of hosting a wide variety of performing arts, corporate and special events, the North shore Center is a multi-purpose, modern, efficient theatre facility with 68,000 square feet of space. World famous performers, tradeshows, and local productions are equally at home. The facility was conceived in the mid 1980’s when Dorothy Litwin (former Executive Director of Centre East) applied to the State of Illinois for funding under the “Build Illinois Program”. The Village of Skokie supported the project as an economic stimulus to the area and as a cultural asset to the community. The Centre East Metropolitan, Exposition, Auditorium and Office Building Authority was then created by the State of Illinois as the owner of the new performing arts center. The Village of Skokie appoints six of the nine members of the Authority aboard and Niles Township appoints three members. Professional Facilities Management (PFM) has managed the North Shore Center since its opening. 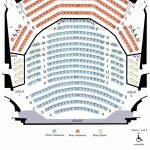 To learn more about the North Shore Center for the Performing Arts, visit them at northshorecenter.org. The North Shore Center is located just east of I-94 (Edens Expressway) making it easily accessible to all of Chicagoland. Below you will find driving directions as well as additional information if taking public transportation. Take I-94 east to Old Orchard Rd. Make a left onto Old Orchard Rd. going east. At Skokie Blvd. turn right going south. Take Skokie Blvd. south approximately 4 blocks. Westfield Shopping Center will be on your right side. Turn left on Foster St. just after Golf Rd. We are located between the DoubleTree Hotel and Old Navy. Take I-94 west to Old Orchard Rd. Turn right onto Old Orchard Rd. going east. At Skokie Blvd. turn right going south. Take Skokie Blvd. south approximately 4 blocks. Westfield Shopping Center will be on your right side. Turn left on Foster St. just after Golf Rd. We are located between the DoubleTree Hotel and Old Navy. Take I-294 to the exit at Dempster St. east. Take Dempster east to Gross Point Rd. Turn left. Take Gross Point Rd. to Skokie Blvd. Turn left. Turn right at the second light (Foster St.). We are located between the DoubleTree Hotel and Old Navy. that are west of us, but not really far, Golf Rd. is the best way. Take Golf east until you reach Skokie Blvd. Turn right on Skokie Blvd. and immediately get into the left lane. At the next light, Foster St., you will make a left. We are located between the DoubleTree Hotel and Old Navy. There is an additional entrance to our parking areas off of Golf Rd. just east of Skokie Blvd. Parking is plentiful and FREE at the North Shore Center. There may be traffic control officers at the facility entrances to direct you to parking areas. We appreciate your cooperation as they assist you in getting parked and into the theatre in a timely manner. There is also paid valet parking located in the front circle drive for select performances. For a map of our parking areas and entrances please click here. The back parking lot directly east of the North Shore Center is available for patrons. The parking lot in front of the North Shore Center belongs to the DoubleTree Hotel and is intended for guests of the hotel and restaurant. Additional garage parking is available after 6pm on weeknights and all day on the weekends east of the Center’s parking lot. A second entrance to the garage is accessible off of Gross Point Road. Enter the North Shore Center lobby from the north side of the building adjacent to our parking area. 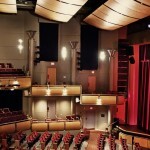 The North Shore Center for the Performing Arts in Skokie is fully compliant with the Americans with Disabilities Act. The building features convenient and accessible drop-off points located at the West and North entrances as well as numerous accessible parking spaces. Both theatres feature wheelchair accessible seating locations, for patrons who wish to remain in the wheelchair, or transfer out of the wheelchair into a theatre seat. These seats are also available to be used by companions of patrons who are using wheelchairs. For patrons wishing to transfer to theatre seats, House Management will gladly store walkers and wheelchairs during the performance and bring them to patrons at intermissions and after the show. All six washrooms, the box office windows and the concession stand are wheelchair accessible as well. 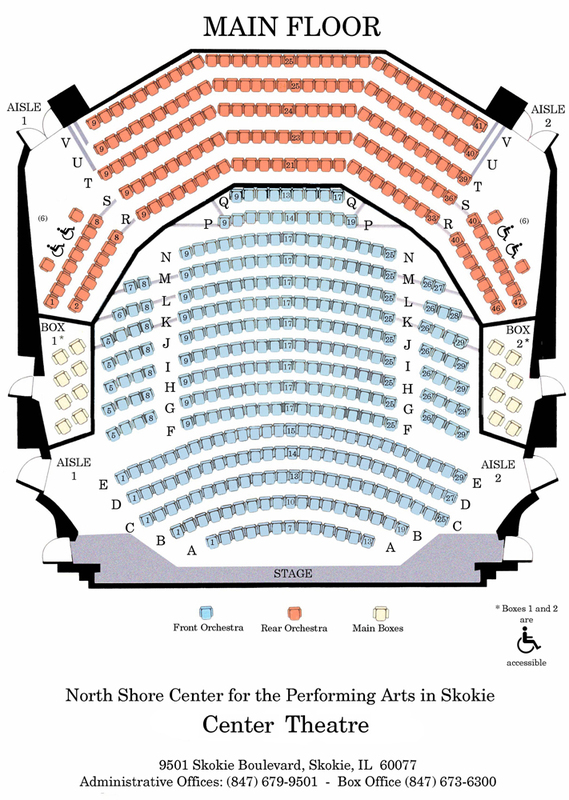 If you require accessible seating due to limited mobility, please ask your ticket agent for availability. 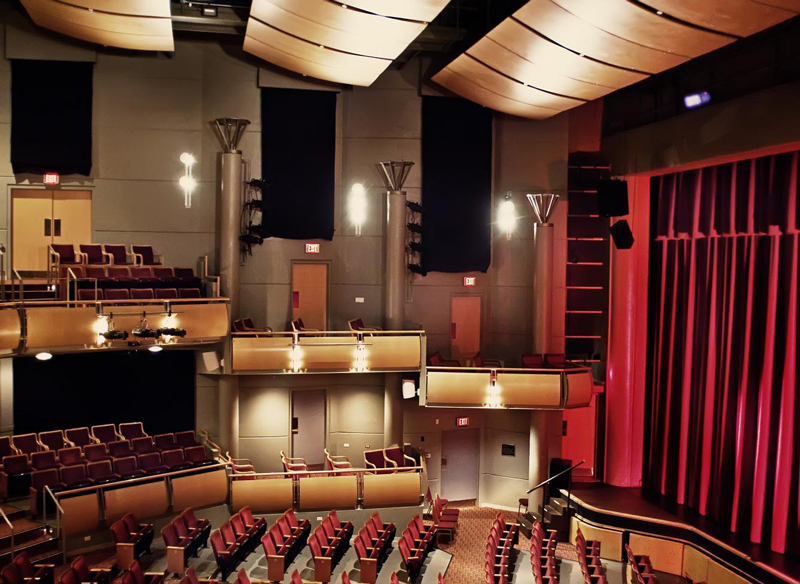 The North Shore Center for the Performing Arts features Sennheiser wireless infrared hearing assistance devices available for all shows on a first come / first served basis. We ask that patrons using these devices please leave a driver’s license, state identification card or credit card with the House Manager until the device is returned at the end of the performance.